I know I have swatches of material that would make cute baby leggings, this is also great if you want to whip of a bunch for baby. The pattern is for 6-12 months which can hold up for awhile. 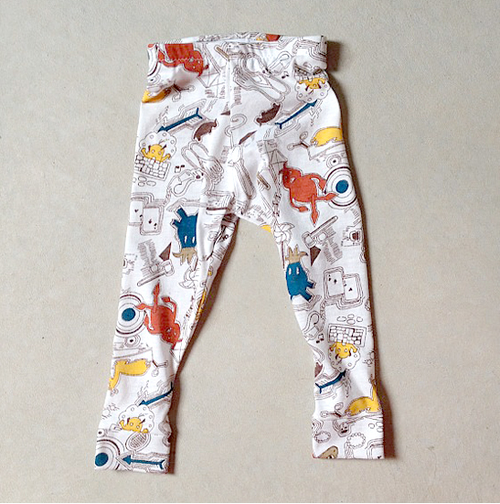 These are a perfect staple for your or a friends baby to have in their closet.